Vietnamese is known as the healthiest in the world. 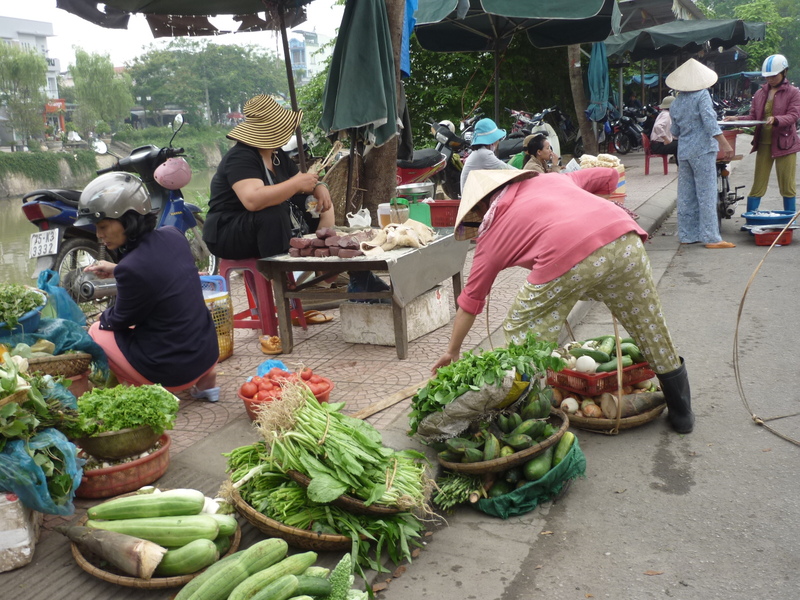 Obviously this depends on the dishes that are eaten, but the Vietnamese often eat a mainly vegetarian diet, with small amounts of meat and fish. Today Local dishes in Vietnam are a blend of Malay, Indian, and French influences. For example it incorporates baguettes and pate from France, curries and chillies from India and the Southern curries prepared with coconut milk are reminiscent of Malaysian cooking. 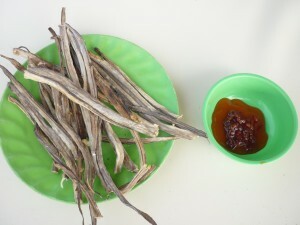 fried silk worms, cobra meat, dog meat and eel among other unusual ingredients are eaten for their various properties. Some are thought to cure sickness, increase virility and clean out your organs. 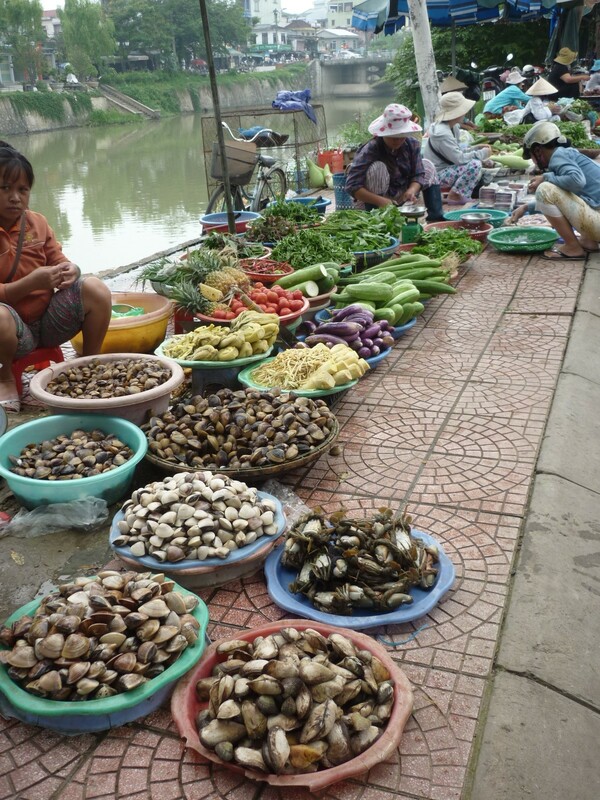 Local dishes in Vietnam use a lot of vegetables and fish that are mostly eaten in season and come straight from the growers to be as fresh as possible. Due to the huge expanse of the Vietnamese coast, fish features heavily on the menu, as do green turtles. Many herbs used in Asian countries including Vietnam are specific to these regions. 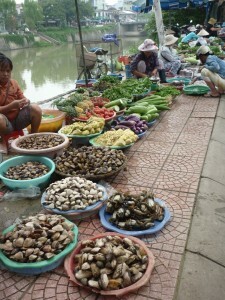 Herbs are used in most of the cooking in Vietnam and are the stars in Vietnamese salads. Many are far stronger in flavour than can be experienced in western food, taste very aromatic, spicy or sweet. Mint is used in a lot of Vietnamese cooking, in their salads and accompany “Pho” a traditional soup that is perhaps the signature dish of Vietnam. Mint is added (with raw chilli and fresh lime juice) on top of the soup to deliver the freshness that typifies Vietnamese cooking. Some of the more unusual herbs can be substituted but cannot truly replace the real thing. Rice paddy herbs or ngo om are used in soups and curry. Perilla or tía tô. Holy basil delivers a strong flavour and can be substituted by ground pepper and basil. Betel leaf cannot really be replaced and has a unique flavour. ngo gai is also known as sawleaf herb, but tastes like corriander leaf. Saigon Cinnamon is of Vietnamese origin and cannot be easily found outside of Asia. 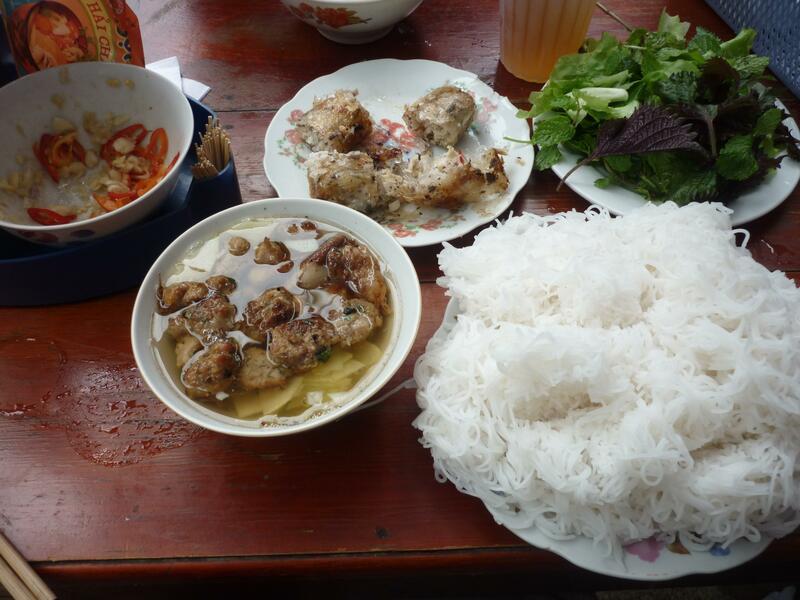 Vietnam’s ‘chicken soup,’ is made with white vermicelli noodles, sliced beef or chicken, bean sprouts, chopped peanuts, hot broth and mint leaves that is served piping hot and at all hours of the day. The stock is made over night, but the good news is that once you make this broth you can use it is in so many other recipes and freeze it until you need it in the future. You need the butcher to give you offcuts of beef bones, beef brisket (tendon and low quality stewing beef), onion, ginger, star anise, and cinnamon. The onion needs to be fried at a fairly high heat so that it takes on a brown colour. This adds a burnt caramel flavour and brown colour to the dish. This is all simmered with around 2 litres of water on a low heat for 6-8 hours, although some restaurants cook it over at least 24hrs in massive vats. The fat is skimmed off to reveal the tastiest broth you are likely to experience anywhere. It makes Vietnam famous in food. Garnish the pho with finely sliced white onion, the green end of spring onion, corriander, and thorny coriander (ngo gai) A side dish of bean sprouts, lime, chili peppers, peanuts and basil is important and makes the fresh part of the dish. 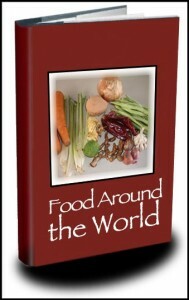 For more on this dish you can check out our book, which contains more information. A fried meat dish that is served in it’s own juices then served with cold vermicelli noodles and fiend spring rolls. Recipe coming soon! You can find dried eel in Chinese and Asian restaurants. This is not so much a recipe as a, different but tasty beer snack for a summer’s day.